We are right now committed in implementing practices aimed at protecting the environment. 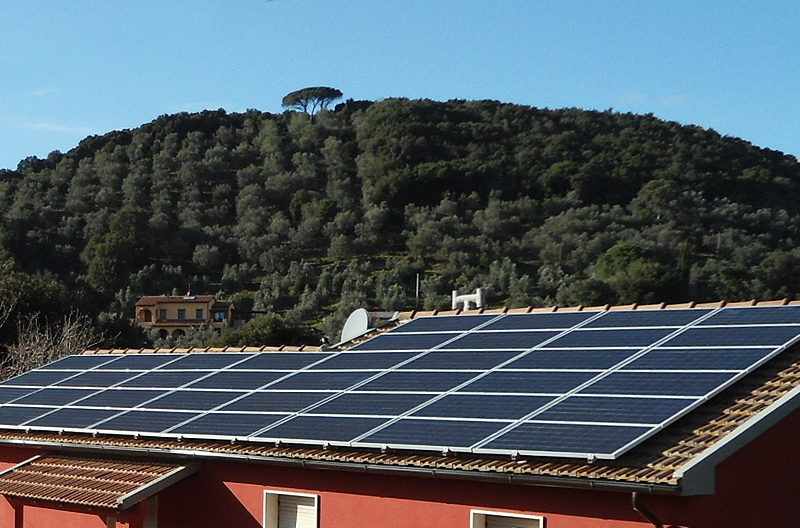 In 2010,a 9.6 kw photovoltaic system was installed on the roof of the farm. Throughout the year, it produces 13.000 KW which can assure the energy independence of the farm. At the beginning of 2013 six-square meters of solar panels were installed on the roof of the old stables. 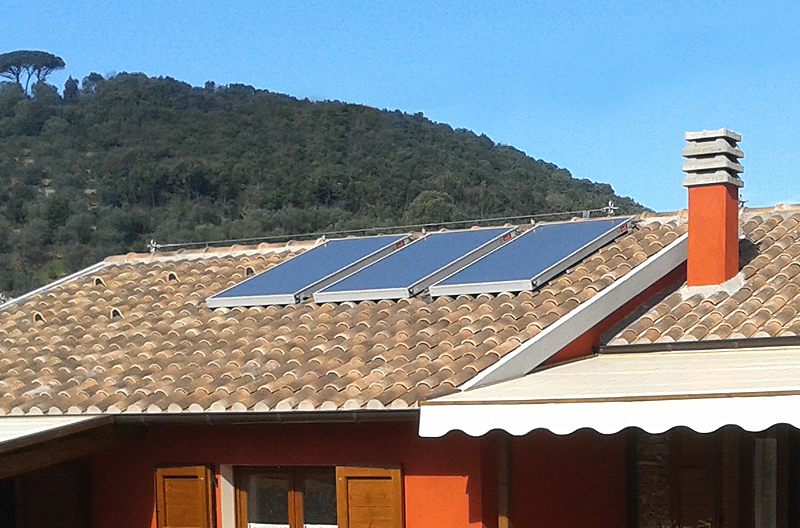 They can produce hot water for the three apartments: Levante, Libeccio and Scirocco. The system has been designed in order to optimize energy consumption. Each apartment has a two-square meter panel which heats 150 liters of water. Each system is integrated with an electric resistance. Its energy consumption is compensated by the production of the electric power of the photovoltaic system which allows us to heat water on days when the solar irradiation is not sufficient. Ventilated and insulated roof, location and construction techniques. The ventilated and insulated roof of the restored stables, the wine cellar and the wood shed helps in refreshing the apartments, Levante, Libeccio and Scirocco, in a natural way in the summer months. The air conditioning system of the three apartments has been designed mainly for the winter months, as in the summer months the presence of a pleasant evening breeze normally makes the use of the cooling system(in this case the energy used by air conditioning systems is compensated by the production of energy obtained from the photovoltaic system). Moreover, the stone walls of the farm (in some places over a meter thicker), the preservation of almost the entire external perimeter of the farm buildings (with stone walls over40 cm thick)and the use of construction techniques designed to insulate the environments allows all the apartments to be pleasantly cool in the summer months. In the property renovation natural materials such as lime plaster and mold painting were used in order to preserve the healthiness of the interiors and silicate paints were used for the exteriors. The farm has an artesian well whose water is used for all agricultural activities (vegetable garden and farm animals). In our farm we do not use chemical to fight against the weeds that are removed manually or using the agronomic practice of the pyroherbicide. By browsing the site or by closing this banner, you agree to use our cookies.